HomeLiturgical Seasons & FeastsAdventAdvent: Of Elves or Angels? Advent: Of Elves or Angels? Advent is a time of expectation and excitement as we prepare for the birth of Christ. Within Advent is the unfolding of beautiful readings that build from one week to another, along with complimentary music, colors, and the rituals surrounding this liminal time. The opening of Advent calendars or the many other creative ways of counting sacred time is amongst my favorite childhood traditions. Keeping pace with sacred time is becoming more and more difficult these days, however, as Christmas decorations appear in the stores in September, Christmas music begins playing right after Halloween, and the consumerism of our culture continues to erode Advent. These last few years I have noticed that children in our parishes are becoming less familiar with the season of Advent as parents abandon Advent in favor of one extended Christmas season and incorporate more secular traditions into the Christmas countdown. One such tradition that I have struggled with in particular is the Elf on the Shelf. Throughout Advent my social media pages are replete with parents moving around their elf each night to surprise their children with messes and mischief each morning. Great creativity and time is poured into thinking of ways to surprise children with elvish antics. With this, Advent becomes more and more distant from Christ. Yes, the Elf of the Shelf can be a harmless bit of fun, but if your child looks forward more to the Elf than to the reason for the season, then I think you will agree with me when I say that we have a problem. Why not instead engage in some old and new Advent traditions that build upon each other to prepare children for Christmas? Here are a few ideas to get you started. 1. Advent calendars, especially ones with religious themes, are a great way to introduce children to the concept of waiting. 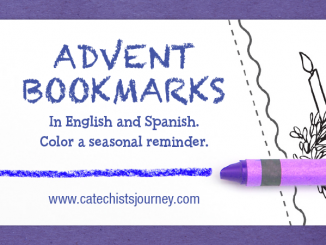 Some can be refilled from year to year, some are designed to be opened just for one Advent season, and others incorporate Scripture to reflect upon a particular part of the Christian story. Choose one that will help you to speak to your children about Advent and one that can become a part of your family traditions. 2. 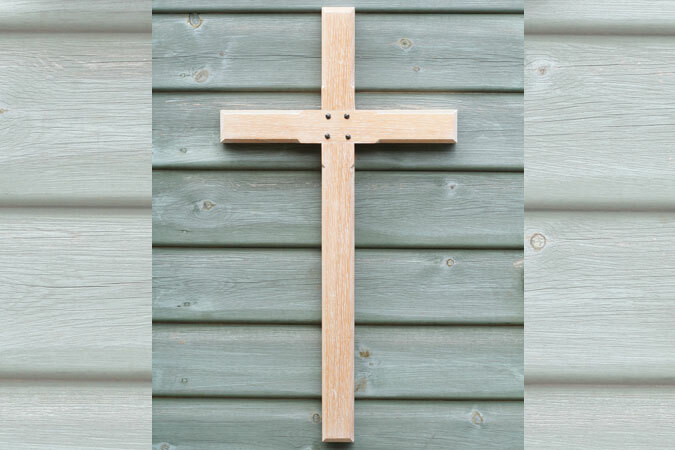 Advent angels can be another simple tradition to encourage children to pray for one another. 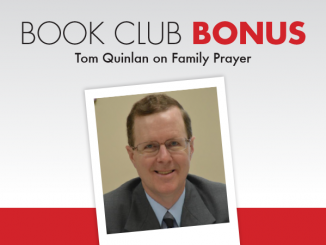 Each person in your house secretly chooses the name of someone within the family (or outside of the family) to pray for. You can also incorporate random acts of kindness into this activity. Family members only reveal their identity to each other on Christmas morning. Some families incorporate a guessing game in which family members are given clues and they try to guess which person is their Advent angel. If you have small children in your family, consider purchasing or making a small doll (an Advent angel) for your children. 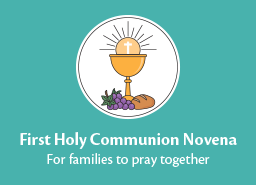 This would be a wonderful small gift from the parish to families in religious education or those children in Catholic schools. It is the job of the Advent angel to guide the child towards Christmas. Each night a Scripture passage is read and the family gathers to talk about what their Advent angel has shown them that day about Christ. Where did I see God today in my family, at school, in the community? What did I do today to be Christ to someone? Was there anything that happened to me that I would like to talk about? What am I most thankful for in this present moment? Scripture quotes can be added as appropriate with some simple sharing around the table. Regardless of what tradition your family engages in, it is important to set aside regular time during the Advent season as a family to talk about Advent. 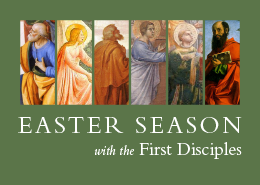 Does your parish or your family have a particular Advent tradition? If so, share it with us here in the comments. 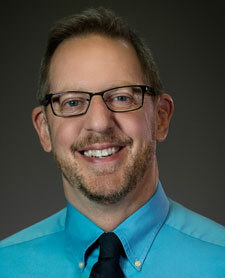 Julianne Stanz is the Director of Discipleship and Leadership Development for the Diocese of Green Bay and a consultant to the USCCB Committee on Catechesis and Evangelization. Julianne infuses her talks, retreats, and seminars with humor, passion, and insights from her life in Ireland. A popular speaker, storyteller, and author, Julianne is married with three children and spends her time reading, writing, teaching, and collecting beach glass. She is the author of Developing Disciples of Christ and co-author, with Joe Paprocki, of The Catechist’s Backpack. 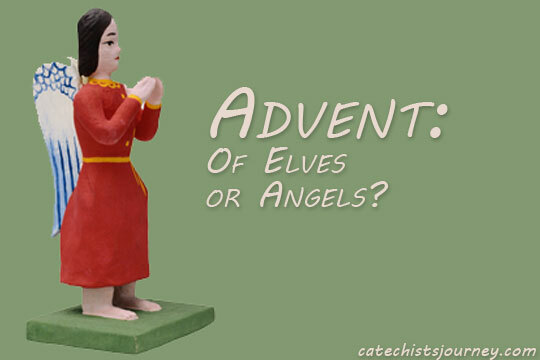 11 Comments on Advent: Of Elves or Angels? As I thought about ways to incorporate a fun, family friendly activity into our religious education program I came across peg dolls that had been painted and transformed into saints. As I thought about this a little more I decided to create “Kindness Angels.” We’ll have 8 angels, each named for a saint, and the angels will be given out to interested families over the course of Advent and past the Epiphany. Each angel will come with his or her own box and story and the challenge will be for the family they reside with to complete acts of kindness for the week they take care of their angel. At the end of the week, the kids (or family) will take a picture with their angel, write a little about the acts they performed and turn it in to be displayed. Hopefully this will encourage kids and their families to think about ways to be kind to one another and to others. What a clever and thoughtful idea! I would love to share this with my families here as an additional idea to draw them even further into Advent. I love the element of “praying it forward” with kindness. Super! Blessings to you. I read this piece a few days ago and it seemed sensible. After last night with parish religious education classes I am giving it a big AMEN!!!! Last night I was having an Advent Wreath blessing prayer with my religious education kids and all they could focus on was the “Elf” from the dayschool class. In the classroom in our parochial school where I catechize in our parish religious education program (2nd grade), last night the kids COULD NOT stop obsessing over the “Elf” that the teacher had on the Christmas tree in the room from the moment they entered the room and saw the elf. The tree is next to the rug area in the back of the room where we gather around our prayer table and I literally could not get them to stop focusing on (talking about, looking, pointing) at the angel. After a few minutes into it, I stopped the prayer service, had everyone go back to their desks to talk about what was happening because I just could not let the irreverence of the mass distraction overtake the prayertime. I was suprised at the level of their preoccupation with the elf. I asked them why they were so focused on the elf and almost every hand went up with an answer. I tried to get to an agreement that we were there to talk about Jesus and how we want to be like Jesus in his love for being good….not to talk about elves or being good because an elf is watching. Before the next class came in–I removed the elf from the tree and hid it in the cupboard and will do so next week as well. Leah–I love your idea about “Kindness Angels”. Thank you so much for sharing your experience Cindy! I think part of the allure of the elf is that there is a mischievous element which children associate with it. I think as we strive to encourage virtuous activity in children, we are going to have to think our way creatively around challenges such as this! In my classroom I have a Goodwill Elf, sent by Santa, who loves Jesus very much. Will, the elf, arrived with a letter from Santa asking the children to pray, do kind things, and to remember we are preparing for Jesus’ birthday. Santa sends a daily task for the Pre-K’ers to try to do throughout the day, whether it be at home or at school, The children are always anxious to see what the task of the day is. But, I love the angel idea and may do that next year. Thank you so much Donna for sharing your “goodwill elf” classroom strategy. I like that you have co-opted the elf into a new tradition- one much more wholesome and connected to the season. Thank you for sharing! Thank you for addressing this, Julianne; I have the same thoughts about the elf on the shelf. I don’t have any other ideas, but when my children were at home yet, we did several of the ideas that you mentioned. You are welcome Margaret! The elf is becoming more and more familiar now than Advent calendars and traditions which are much more meaningful. Thank you for sharing and commenting. I admit that I don’t know about Elf on The shelf, but I have heard about it. One of my co-workers son, wanted an Elf on The Shelf. He got the good Elf on The Shelf. The Elf put toys away, made cookies for him and his friends. After having lunch with a friend, we went to an Irish shop and they had a little angel that courage children to tell the angel their worries. The angel was small to go anywhere and the child would tell the angel what wrong. I believe their was a special prayer the child could say. After reading the article I thought, maybe the angel can be and Advent Angel. It is small that the child can take it anywhere with them. They may lose it. Parents can write a note of the mission of the day. Advent Angel wants you to play with someone who you don’t play with at school during recess. Advent Angel wants you to pray an extra Lord prayer, Hail Mary, or any prayer. Advent Angel wants you to think of your favorite toy, thing, or something you like do. Now imagine you can’t do it. How can you share your talents, or toy with someone? Lauren, thank you so much for sharing your insights! I love the idea of the Advent Angel that is portable and can share in the child’s day looking for opportunities to be if service. My children would love this!